I am a big proponent of getting prime cuts when it makes sense. Generally speaking, the difference in quality is outstanding. However, you have to be careful. Don’t buy blind at the grocery store. Look at the photo below. 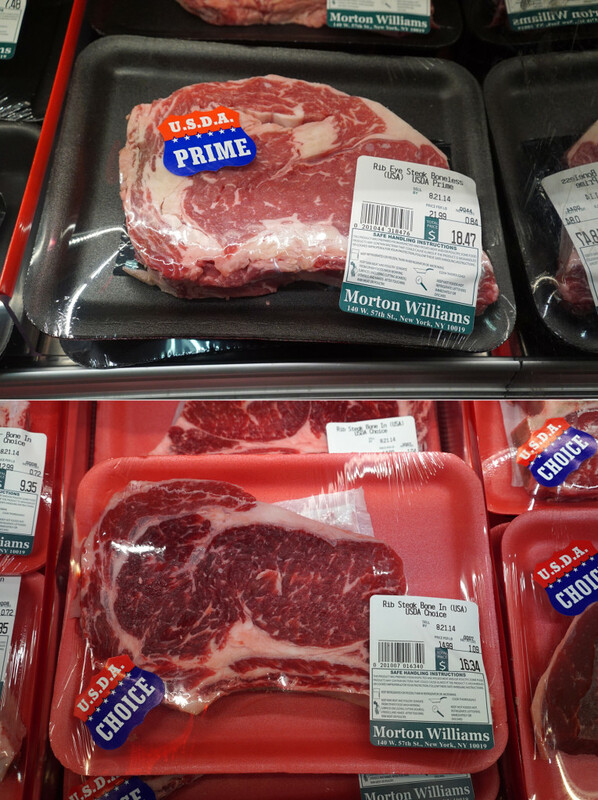 Choice is $14.99/lb and prime is $21.99/lb. The up-charge is primarily for more and better marbling. But look with your own eyes. 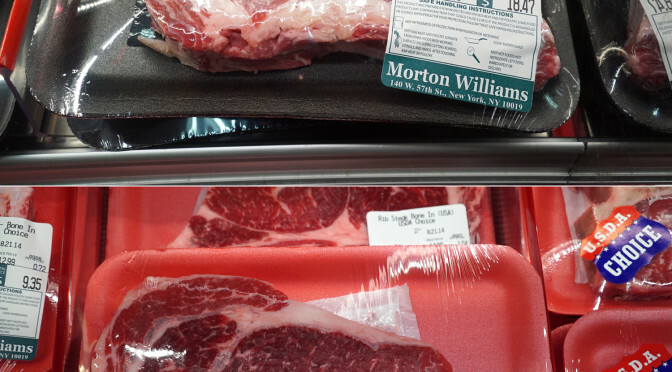 Does that boneless prime rib eye on top look any more marbled or better than the bone-in choice rib eye? In this case, I might buy the choice cut, even though the prime cut has a bigger Spinalis / fat cap.